Last week, I announced an exciting giveaway that you can all enter: half price tickets for one of my Moroccan cooking classes. Read all about it here. There are five more chances to win! Keep checking back every Monday and Thursday for the next three weeks to enter the draw. I will putting up new posts on every single one of those days, which in itself is a small miracle. Today’s post is in honour of the freshly-harvested nuts I bought from Rancho Vignola (the company that is sponsoring my cooking class giveaway). I have raved about the quality of their nuts previously – their freshness, deliciousness, and long shelf-life, to name a few. I can’t single out any particular nut as my favourite, but I do buy more almonds than any other kind f nut. This is possibly because I love the taste of fresh sweet almonds, but it might be because I use a LOT of almonds throughout the year to make fresh homemade almond milk. Regular blog readers will know that my youngest son has severe lactose intolerance. Ergo, we’ve been drinking almond milk in our family for a very long time. We do buy the commercial variety, of course, but I try to make almond milk on weekends whenever I am able. 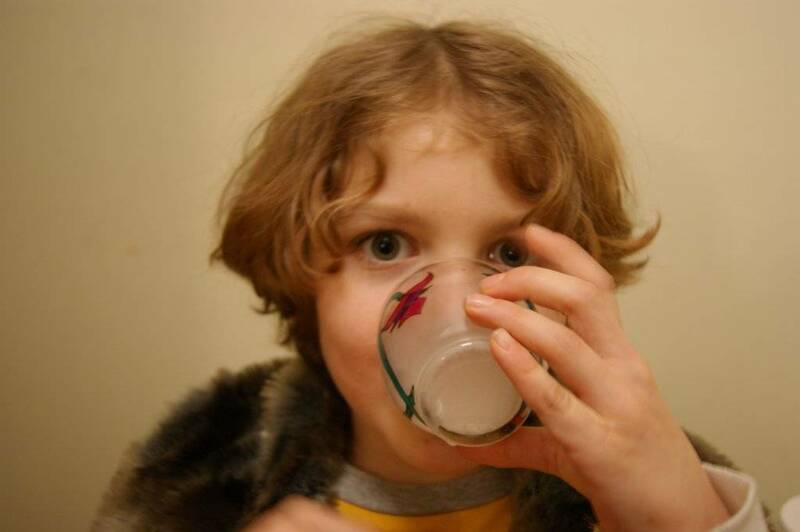 And for at least a year after my son’s diagnosis, I made almond milk every week. In other words, I got it down to a science. This will explain why my recipe is different than some others you may have come across – I had to figure out not just how to make tasty almond milk, but how to make it last at least a week in the fridge. Some will wonder what is the point of making it fresh when there are so many ready-made varieties to choose from? Well, there is not a single brand of almond milk that can hold the tiniest candle to the fresh stuff (especially not to the fresh stuff made with Rancho almonds!) 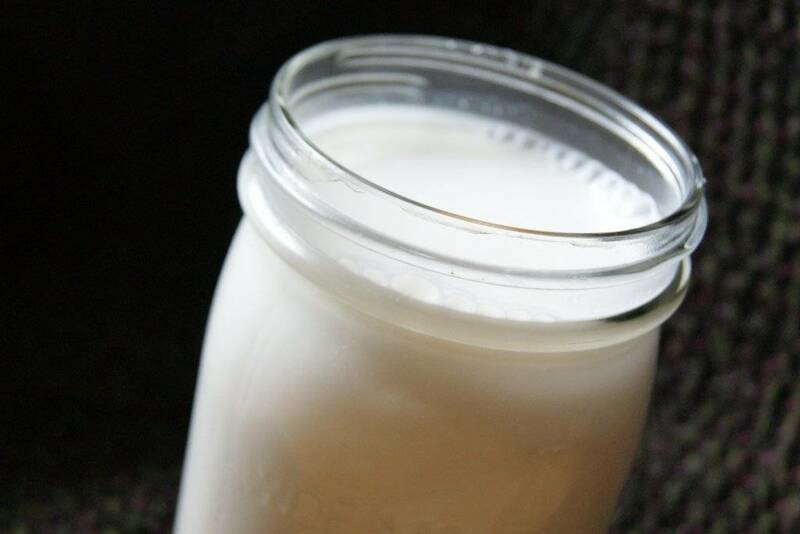 Fresh almond milk is milky white, mildly sweet, perfectly creamy, and very refreshing. Commercial almond milks tend to be beige, salty, thickened with vegetables gums instead of naturally creamy, and not super tasty (unless sweetened). I’m not saying that commercial almond milks are awful, either. They taste fine and serve the purpose. But fresh homemade almond milk tastes DELICIOUS. Finally, a recap on the Cooking Class Giveaway. My friends, fans, and loyal blog readers, Rancho Vignola has stepped up once again to sponsor my business activities, this time by covering 50% of the cost of one of my Moroccan cooking classes. What this means for you, dear readers, is that I will be selling twelve spots at a Moroccan cooking class for half-price! That’s $45 for a full three-hour hands-on cooking class, and includes a take-home recipe booklet and full delicious meal. PHEW! Now that that’s all over and explained, let me just give you that recipe. And don’t forget to post your comments here or over on my facebook fanpage for your chance to WIN the discount! This recipe calls for blanching and peeling the almonds as a first step. If this is too much for you, start with skinned almonds (available at any supermarket). They are not as fresh as natural almonds, but will work. 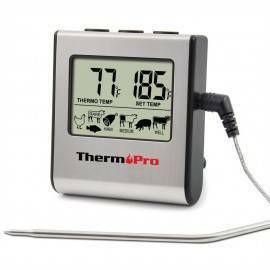 This recipe is quite easy, but takes some planning because of the soaking times involved. *If you don’t want to blanch and peel the almonds yourself, start this recipe with pre-blanched almonds, available at any supermarket. They are not as fresh and tasty as natural almonds, but they will do the trick. Bring a medium pot of water to a boil. Add almonds and bring back to a boil and let boil for 10 seconds. 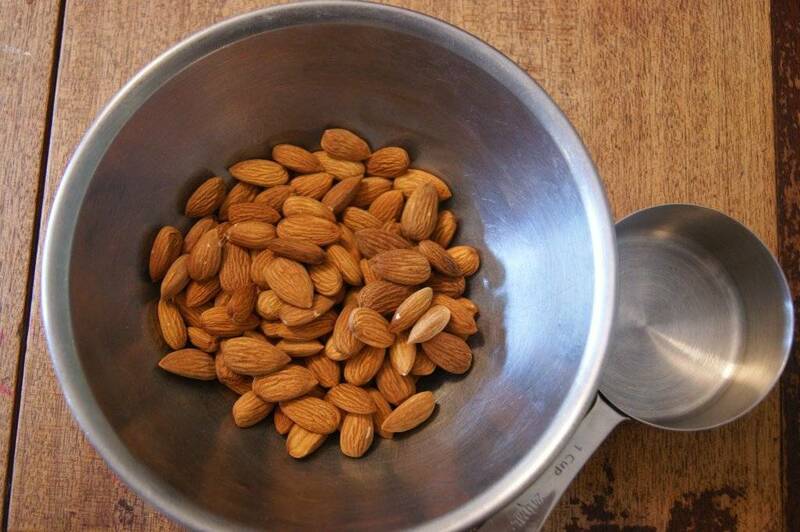 Immediately pour the almonds into a strainer, draining off all the boiling water. Run cold water over the nuts briefly, enough to cool them so they can be handled, but not enough to chill them (it’s much more difficult to peel the almonds once they are cold). This step is called blanching. To peel the blanched almonds, squeeze them (while they are still warm) one at a time between your fingers and the skins will just slip off. 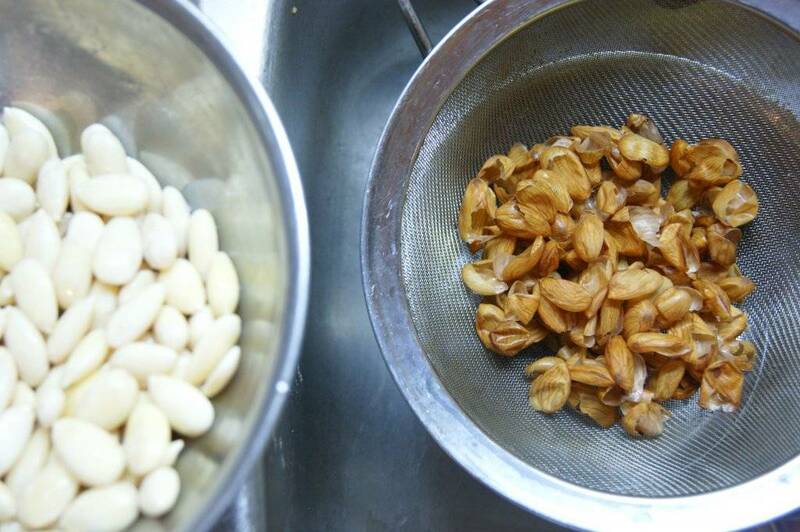 Discard the skins and place the blanched almonds in a bowl. Rinse well, drain, and then cover with cold water by 2 or 3 cm. Let the peeled almonds soak 8 to 12 hours at room temperature. Note: I actually soak my almonds unpeeled: I use certified raw (unpasteurized) almonds from Rancho Vignola, which is why I soak them before blanching them. I want the enzymes in the raw nuts to initiate the sprouting action in the nuts, making them more digestible and nutritious. However, very few of you actually have unpasteurized almonds on hand, so I have written up this recipe for regular raw, natural almonds. I made this recipe for years with regular raw natural almonds and it worked wonderfully. Once the peeled almonds have soaked the allotted time, drain off and discard the soaking liquid. 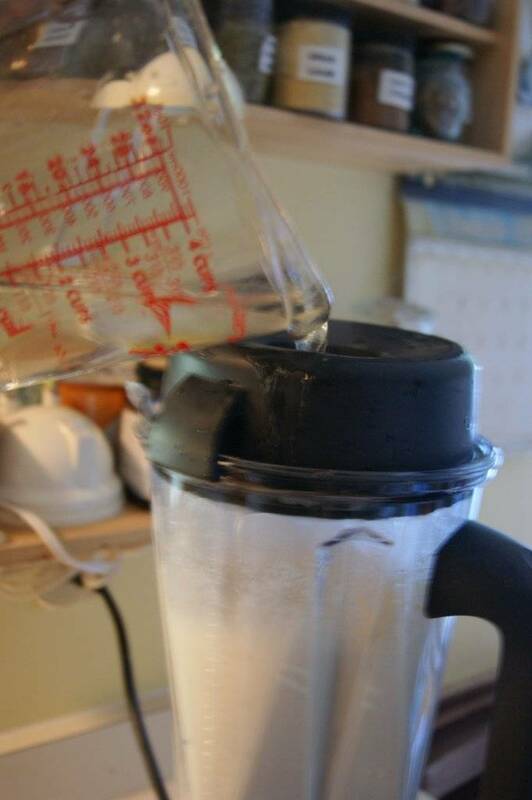 Do not be tempted to keep this soaking liquid to make the almond milk – your milk will go sour after only a few days! 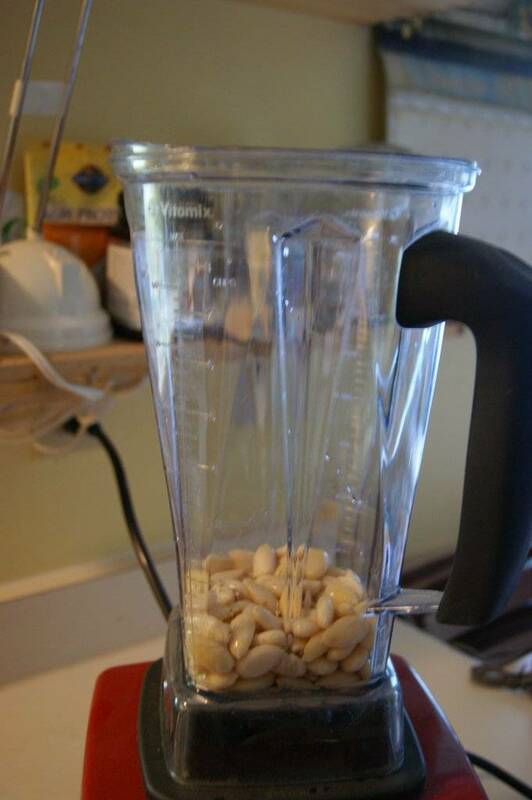 Rinse the soaked nuts well and place them in a blender. 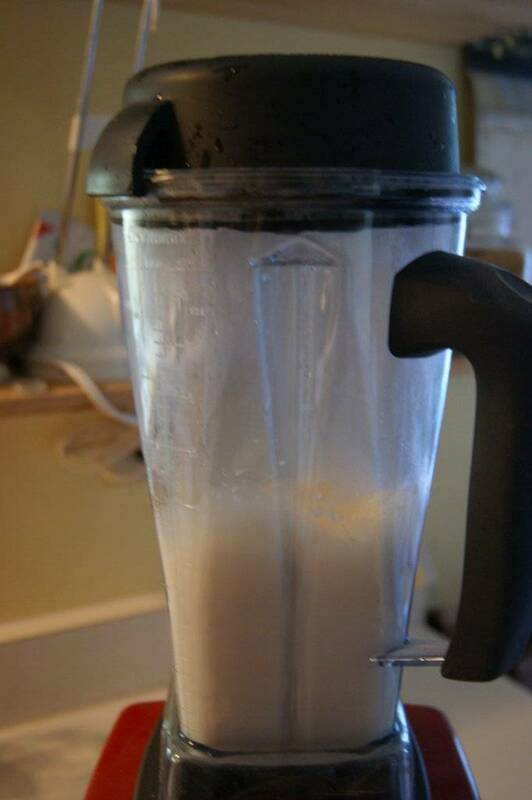 I am using a Vitamix here, but I made this for many years in my trusty Proctor-Silex with perfect results. Boil 2 cups of water, and separately have 3-1/2 cups of COLD water measured and ready to go. Pour 1-1/2 cups of boiling water over the almonds in the blender. Cover tightly and blend on low until the almonds are partially ground, a few seconds. Remove the little round plug in the middle of the lid to allow steam to escape, and steadily turn the speed higher, until the nuts are pureed, about 30 seconds. Keep the blender running and pour in the cold water through the hole in the lid. Blend on high for 30 seconds. Add the salt and vanilla (or almond) and blend for 5 seconds more. Turn off the blender. 1) Use the milk as is. It will have the tiny bits of finely ground almond in it, but some folks may like this as much as they like extra-pulpy orange juice. However, this is not truly “milky” and will go off more quickly. 3) THE BEST OPTION. Let the blender full of ground almonds and water sit for an hour or two before straining. I’ve discovered over the years that the resulting milk will be creamier and more flavourful that when it is strained right away. 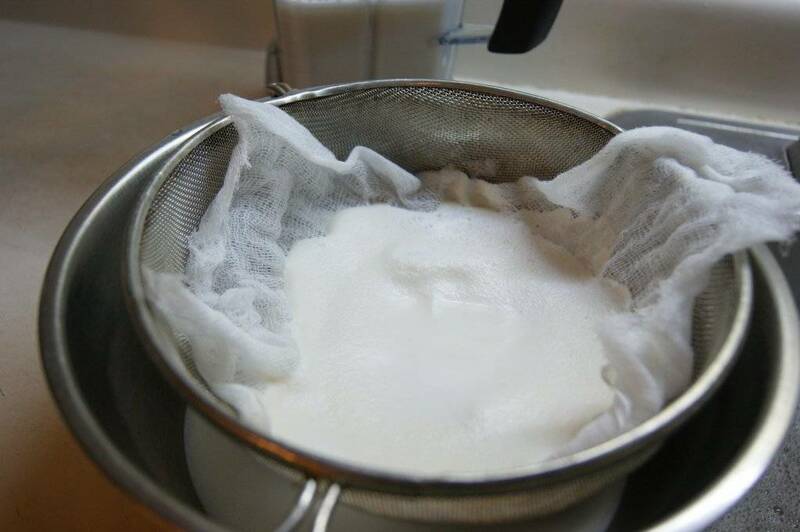 To strain: line a sieve with two layers of cheesecloth. Suspend the sieve over a large bowl. Pour the blender contents into this sieve, but do this in batches, because there will be so much ground almond pulp that the milk will seep through a bit slowly – if you pour it all in at once, you run the risk of overflowing everywhere. 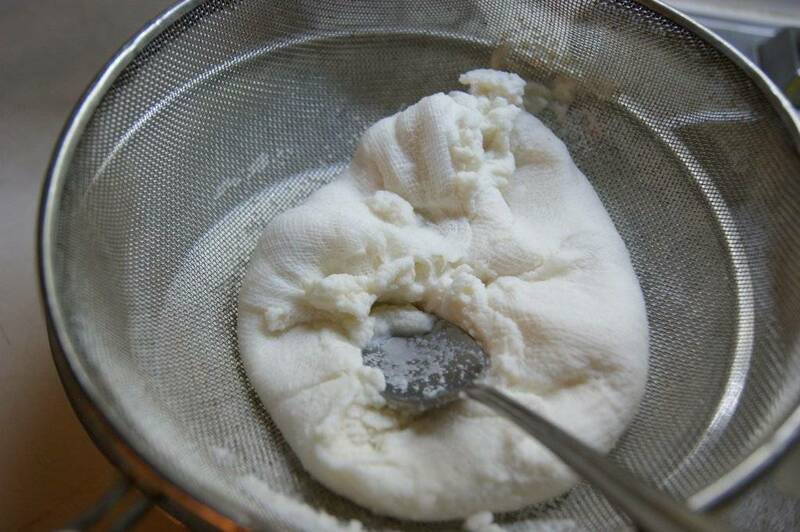 After you have emptied the blender and most of the milk has seeped through to the bowl, fold up the cheesecloth around the almond pulp and press HARD with a back of a spoon, to get all the milk out of the pulp. Discard the almond pulp and cheesecloth (I have tried to use the almond pulp in various ways, but with low success; do yourself a favour and compost it). 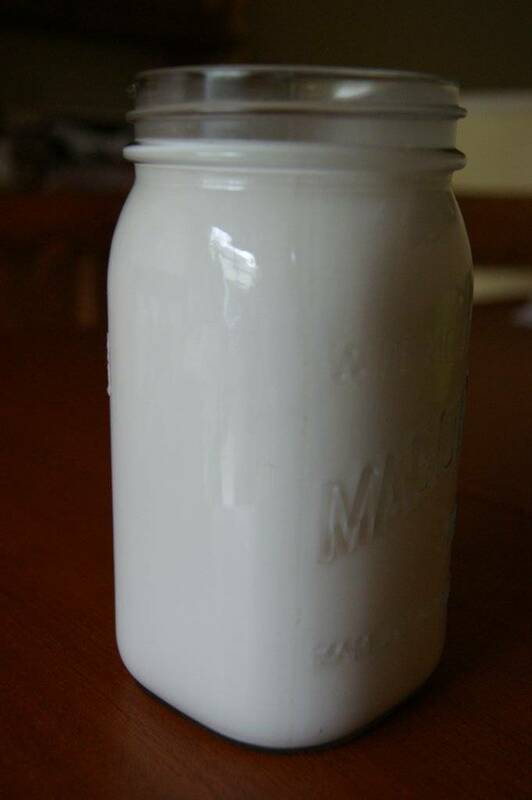 Transfer the almond milk to a large mason jar, screw on the lid, and refrigerate immediately. This will last 6 to 8 days in the fridge. Well I know what I’m doing today – Almond Milk! Thanks Heidi!! Wow, looks healthy and delish! Thanks for the detail and pictures! I can do this now! Thanks for the almond milk recipe, Heidi, I will definitely try this one. Hope I win the giveaway too!!! Looks Great! Thank you Heidi. I’m not lactose intolerant but love to use milk alternatives just for variety. I can imagine how much better fresh almond milk must taste. I’m definitely trying this recipe. Thanks, Heidi. Thanks for the great recipe and hoping to win one of those discounted classes! Really interesting to read how you do it Heidi. I also make almond milk regularly and have a slightly simpler technique which I think I got from one of those raw recipe books. The main thing I do differently is I don’t bother blanching the almonds. I just soak a cup of almonds with skins on overnight, rinse that water off, put the almonds in the blender with 4 cups of filtered water, plus vanilla and a tablespoon of maple syrup, whiz it up twice, then put it in a muslin bag and squeeze the milk through it, and save the bits. I agree I keep the almond grits in the fridge thinking I will use them for something and usually don’t! So the way I do it is shorter but I am OK with little bits of almond skin in the milk I guess. Thanks for your recipe. Please add me to the draw! Working on how to comment on a blog :(. Would love a break on your class! Yum! I do love your almond milk. 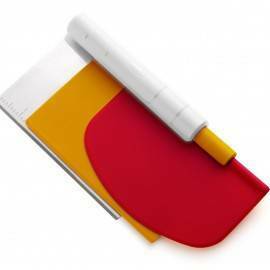 Kind of reminds me of making quark cheese – a little planning goes a long way! Almond milk is a favorite around this house, thanks! Excited about your contest, hope to see you Feb. 16! OK – that last picture makes the recipe irresistable. How does that cutie manage to smile and drink at the same time!!! My daughter is 7 and SUDDENLY stopped drinking milk ( cow’s milk, that is). I have tried various commercial alternatives – soy, rice, almond – but hate the fake “creamy” consistency and the added sweeteners. I will definitely try this. I’ll also pass this link on to my cousin whose daughter is lactose intolerant. Thank you for sharing your tips. 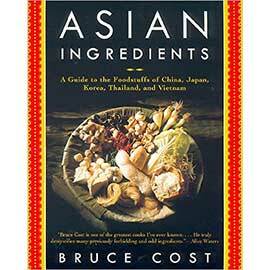 Thanks and looking forward to trying this recipe. Also please enter me in your draw for the cooking class. 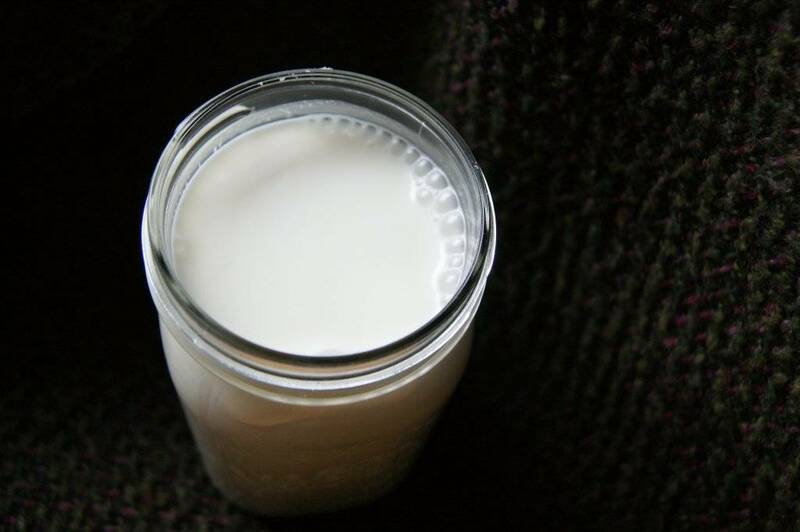 Great post – I love making almond milk. Another great reason to stop buying almond milk at the store is waste! Think about how many of those tetra paks you use in one year? Even though they can go into our blue bins here in Victoria, lighten your footprint on the planet! Yah no doubt on the amount of tetra packs! Looks like a fantastic recipe, as usual! I can’t wait to try this out. Have you ever made it with a different nut? Sarina – yes, you can use any other kind of nut! particularly cashews and hazelnuts. But the cashews need cold water only. Thanks for the chance to win! Fingers and toes crossed!! Thanks Heidi; great recipe. I make mine with almonds & cashews with dates as sweetener (which I also soak w the nuts). I also make a rice & water drink called Horchata for another non-dairy “milk”. Is there a group that orders from Ranchero? Will I have never tried this ,but nor had I made biscotti until I took your class. I will give it a shot and keep you posted. Just go online Laurie and look up Rancho Vignola. I always order with friends, you will not find it hard to find some other folks who want to go in on an order when you look at everything they carry. :) I attest to the quality and I believe so does Rancho. The recipe looks delish! Thanks for sharing! This recipe looks delish! Thanks for sharing! Could you use fresh vanilla bean to flavor this almond milk? Yes, fresh vanilla definitely works!